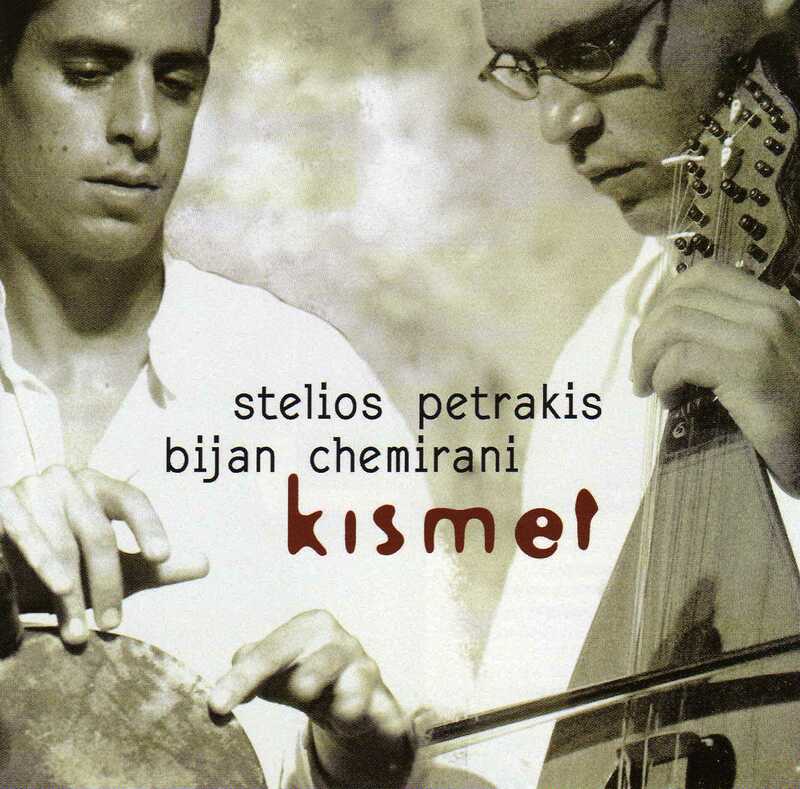 The meeting between Chemirani and Petrakis has been a long time in the making. 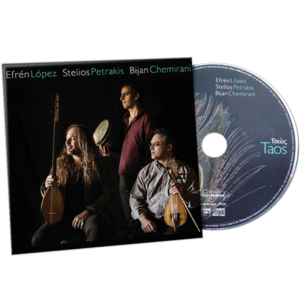 For several years, they had performed alongside Irish-Cretan multi-instrumentalist Ross Daly. This first joint album confirms all the promise these two young artists have hinted at over the years. 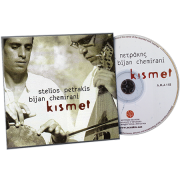 “Kismet” explores the rich seam of traditional music forged at the meeting point of Iranian and Greek music. 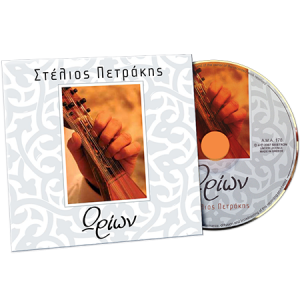 Petrakis is a talented player of the lyra spike-fiddle popularised in Greece, and listeners can enjoy the melodic power of the string instrument in songs like “Efhi” (wish), composed by Petrakis. Chemirani, meanwhile, continues to find new and unsuspected rhythmic patterns in his masterful playing of the zarb. 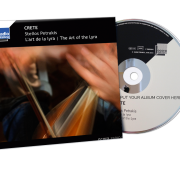 On occasion, he revisits traditional themes, but he is most impressive in his original works. 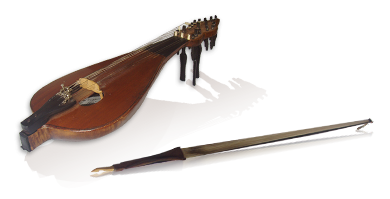 “Yazdah pol”, which is dedicated to his father, is an astonishing example of this maturity. Its complex 11/8 rhythm is kept under taut control throughout five minutes, enhanced by the subtle fiddle of bespectacled Petrakis. 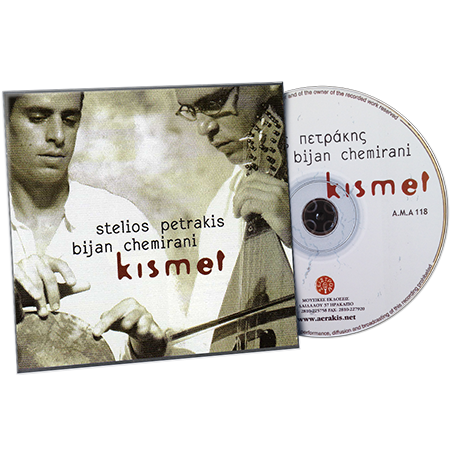 The title means “eleven bridges” in Persian, but one suspects this is just the beginning of the passerelles young Chemirani is to build in what promises to be a wide-ranging and brilliant career. 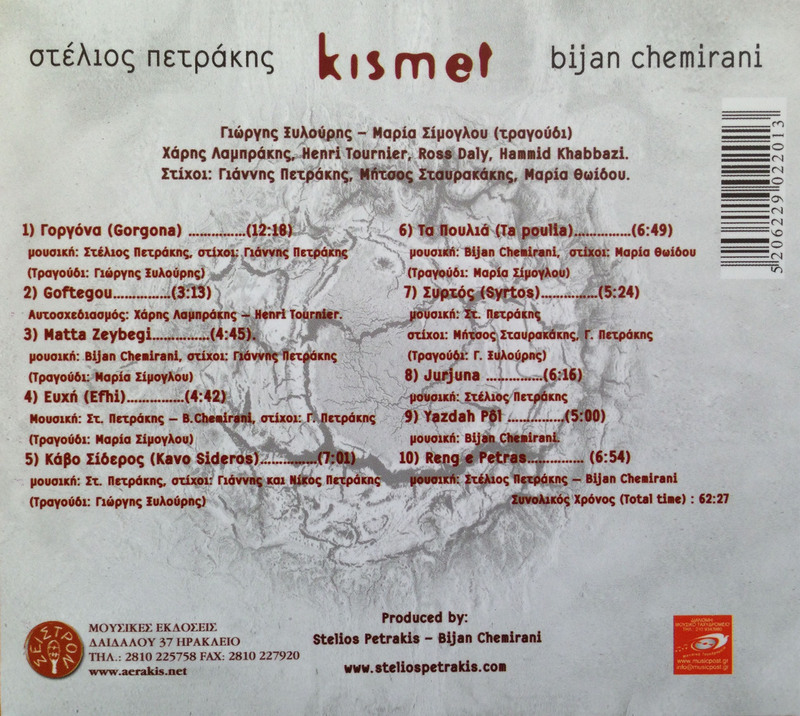 “Kismet” is a lyrical album that finds seasoned musicians Henri Tournier, Harris Lambrakis and Ross Daly at the side of two burgeoning talents.